Unique and fun art classes held every 1st Saturday of the month. 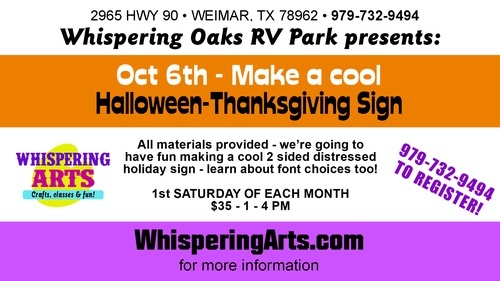 Join us in the activity room of Whispering Oaks RV Park for monthly creative classes. No experience required! It’s a great way to get out and do something different, meet people, inspire yourself and stimulate your creative spark.